Surviving summer heat can be tough. If you're a New Yorker like me, you know how difficult it can be to trek through the city in 95° weather. It's like living in a giant ball of humidity and heat! What's your plan for staying cool? I want you to make the most of summer 2012, so I've put together a list of tasty treats to keep you cool when the heat is on! Yes, I said it, soup! Not the hot stuff you cozy up with in the wintertime, but chilled elixers of cool. Chilled soups are my comfort food of summer. When making chilled soups, stick with the freshest seasonal ingredients. It's as easy as throwing a few ingredients into the blender; then voila, you've got a great cooling meal or side dish in less than 10 minutes. Last summer while living traveling Southeast Asia I discovered real coconut water. Simply the "water" from the inside of a young coconut, this wonder beverage is a godsend for keeping you hydrated and refreshed. Hot and sweaty days require serious replenishment of electrolytes, and coconut water has plenty of them. It's a great source of potassium, a mineral electrolyte that promotes proper hydration. It is not always easy to find young Thai coconuts in the my part of the world, so I look for raw unpasteurized coconut water at Whole Foods or health food stores. 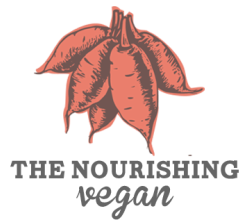 Drink the water chilled by itself or add it to smoothies, raw soups, and popsicles! Soba noodles are so cool! They're delicious, nutritious and the perfect base for a summer meal. These Japanese noodles are made from buckwheat, a high fiber grain that is low in calories and good for the heart. Cold soba noodles are a traditional food eaten in Japan during the warmer months. My favorite way to enjoy them is with the season's various cooling vegetables, namely cucumbers. Try my Miso Lime Soba noodles for a seriously incredibly and refreshing meal. What does the food from the hottest regions in the world have in common? Serious heat factor. Ever wonder why Indian, Mexican and Thai food is so spicy despite the hot climate? It's because spicy food makes you sweat. That sweat both cools you down and helps stabilize your core temperature, preventing you from overheating. This Green Bean Curry should do the trick, just add a few extra dashes of cayenne, and make sure to stay HYDRATED! Melons are nutrient and water dense fruits. 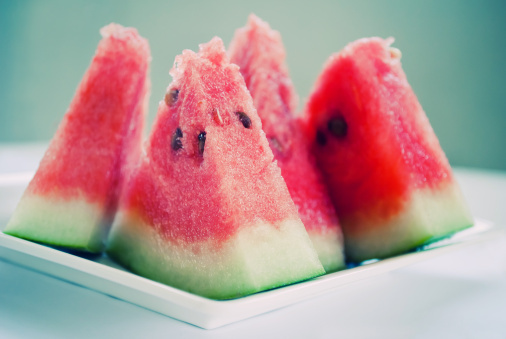 The water present in melons, especially the watermelon, helps to hydrate your body unlike any other fruit. Despite their sugary sweet goodness, watermelons and cantaloupes are low in calories. All melons provide a great source of vitamin C, an antioxidant that will keep you young and healthy. This Mint Watermelon Salad is the perfect marriage of savory and sweet with just a dash of heat! Need more ideas to stay cool and healthy this summer? Reach out to me!